Types are an important mechanic for Pokémon and their moveset, and a big element to take into account when forming a strategy in battles. Natures, on the other hand, dictate how a Pokémon’s stats grow. The Type mechanic has been present since Generation I, and it has changed very little since its introduction. Types have strengths and weaknesses based on the type matchup that the Pokémon or move is subjected to. As of the latest games (Sun and Moon), there are 18 types available. A Pokémon may have up to two types, while moves can only have one type. An example of these are Bulbasaur, a Grass and Poison-type Pokémon, while Charmander is only a Fire-type Pokémon. Moves like Razor Leaf and Ember are Grass-type and Fire-type respectively. The Fire-type move is at an advantage in this situation, given that they are super effective against Grass-type Pokémon, and thus will deal double the normal amount of damage. Inversely, Razor Leaf will be ineffective against Fire-type Pokémon, and thus will deal half the normal amount of damage. However, there are special cases where a type matchup is completely ineffective and thus will deal no damage at all. An example of this is a Normal-type move such as Tackle, being used against a Ghost-type Pokémon such as Gastly. You can access the Type Chart Tool here. Parasect, a Bug and Grass-type Pokémon will have double weakness to Flying and Fire-type moves, which will deal quadruple the normal amount of damage. On the other hand, Sigilyph, a Psychic and Flying-type Pokémon will be dealt ¼ of the normal amount of damage from Fighting-type moves considering that Fighting-type moves are not very effective against Psychic and Flying-types. Pokémon like Gyarados – a Water and Flying-type Pokémon – might have two type moves where one is super effective and the other not. In this example: a Grass-type move, super effective against the Water type, but not very effective against the Flying type. In this case, the x2 multiplier and the x0.5 multiplier cancel each other out, and the move deals normal damage. A move against a Pokémon with two types, both of which the move is ineffective against will deal no damage at all. An example is an Electric-type move used against a Water and Ground-type Pokémon, such as Quagsire. The Nature mechanic was first introduced in Generation III. A Pokémon's Nature is displayed in its summary screen. The stats affected by a Pokémon’s Nature are highlighted red and blue, indicating which stat is increased and decreased respectively. A Pokémon’s Nature usually affects the growth rate of two of its stats except for HP (so Attack, Defense, Special Attack, Special Defense or Speed), increasing one by 10% and decreasing the other by 10%. Natures also dictate a Pokémon’s liked or disliked flavor. Each stat is associated with a specific flavor and the Pokémon will like and dislike the flavors that increase and decrease the growth rate of two stats. For example, since the Lonely Nature increases a Pokémon's Attack stat (which is associated with the Spicy flavor) and decreases its Defense stat (which is associated with the Sour flavor), a Pokémon with a Lonely Nature has Spicy as its favorite flavor and dislikes Sour flavors. A Pokémon’s Nature is determined when it is generated in the game, meaning when it is encountered in the wild, when it is obtained from an Egg, or when it is given to the player by a non-player-character. As of the latest games, there are 25 available Natures. You can find the Nature Table Tool here. 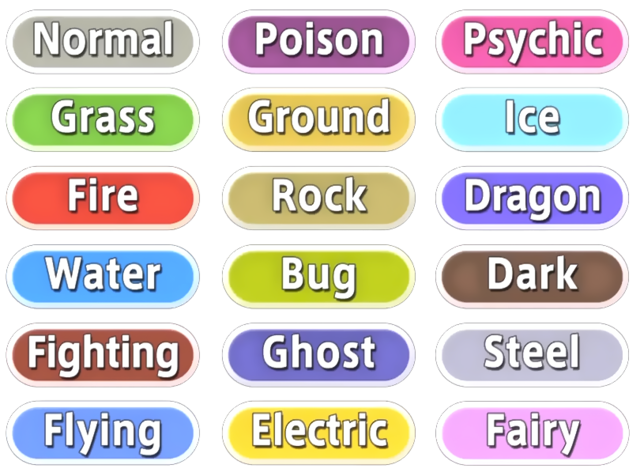 There are a number of ways to get a Pokémon with a specific Nature, discussed below. Giving one of the parents an Everstone before leaving them at the Pokémon Nursery, will give the Egg a 100% chance of having the same nature as the Pokémon holding the item. If a Pokémon with the Ability Synchronize is leading the party, any wild Pokémon encountered has a 50% chance of having the same Nature as the Pokémon with this Ability.